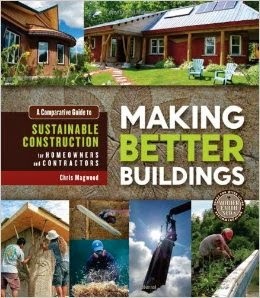 Chris Magwood’s Making Better Buildings is a comparative guide to sustainable construction for homeowners and contractors. 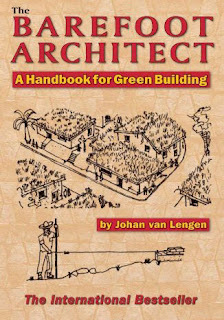 It is also a masterpiece of research and experience folded into an encyclopedic reference book for anyone interested in sustainable approaches to our built environment. Clearly a labor of love and a commitment to improving our situation on Earth, this book will have enduring value. To my knowledge, building science has never been approached with such an attitude of precise evaluation of all of the factors that affect the environmental impact of materials and building systems. Chris Magwood looks at both common, and not-so-common, ways of building to see how they stack up against each other, giving the reader the opportunity to compare every environmental and economic aspect. His criteria for this evaluation embrace environmental impacts, embodied energy, waste, energy efficiency, material costs, labor inputs, ease of construction for homeowners, sourcing/availability, durability, code compliance, indoor air quality, and future development. The environmental impacts include harvesting the material, manufacturing, transportation, and installation. Simple bar graphs indicate at a glance just how “green” each material or system might be. In addition to this meticulous look at materials and systems, Chris provides an overview of how each system works, in terms of methodology and skill. Here we can benefit from his many years of experience as a builder and teacher to offer tips for successful installations. Foundation systems evaluated include earthbag, stone, rammed earth tires, screw and wooden piers, poured concrete, concrete masonry units, autoclaved aerated concrete blocks, certain insulated concrete forms, and rubble trenches. At the end of the chapter Chris explains why he decided not to evaluate several very common foundation systems, such as pressure treated wood and concrete slab foundations. Basically he feels that these are so inherently unsustainable that he doesn’t want to encourage their use. I would have preferred that he included these popular concepts to allow the reader to form his own opinion about how sustainable they might be, based on the data itself. Wall systems evaluated include wood frame, straw bale, cob, cordwood, rammed earth, compressed earth block, and adobe. Chris indicates that many of the foundation systems can also be extended upward to incorporate whole walls, such as using earthbags for this. In this regard he failed to recognize that since earthbags can be filled with a wide range of materials (besides compacted earth), they can be tailored to meet a wide range of needs ranging from highly insulated to entirely thermal mass walls. Choices for insulating walls include cotton batt, straw/clay, hempcrete, hemp batt, perlite loose-fill, mineral wool, cementitious foam, wool batt, and cellulose. Again, some very popular insulated wall systems (including structural insulated panels and insulated concrete forms) are not thoroughly evaluated, other than to specify why they are too unsustainable. Floor and roof structures are combined into one chapter, and include wood framing, wood trusses, wooden I-beams, glulam framing, open web steel joists, timber framing (and post and beam), conical grain bin roofs, slab based floors. Then, as a separate chapter, various sheathing and cladding materials are evaluated. Earthen plaster, wood planks, plywood and oriented stand board, gypsum board, magnesium oxide board, fired clay brick, lime plaster, and stone are all indicated as useful for cladding walls. Roof sheathing includes metal roofing, cedar shakes and shingles, thatch, slate, composite shingles, green/living roofs, and clay tile. For flooring materials we have earthen floors, hardwood, softwood, tile, linoleum, bamboo, cork, and concrete. The environmental viability of various surface finishing materials is evaluated. Here we have earthen plaster, lime plaster and paint, milk paint, silicate paint, acrylic paint, oil paint, natural oils and waxes, wallpaper and coverings. The final chapters deal with utilities and mechanical systems. As sources for water, there are surface water, well water, rainwater catchment, and desalinated water. To pump that water, most common pumping systems are described. Possible water filtration is outlined. Common pipe materials are evaluated for their environmental impact. For waste treatment, we have municipal wastewater systems, septic systems, and compost toilets. For heating and cooling, passive solar, solar hydronic, solar hot air, various heat pumps, boilers, on-demand heaters, tank heaters, forced air furnaces, wood and pellet stoves, and masonry heaters are all considered. For electricity, there is grid power, photovoltaic power, wind turbines, and micro hydro turbines. From all of these lists you can gain a sense of how comprehensive this book really is. Over 400 pages of in depth data and evaluation give both professionals and homeowners the ability to make informed choices about all of the materials and systems that go into putting together a house. One thing became abundantly clear to me as I read through all the various chapters: building codes are pathetically out-dated, and don’t really take into account the truly important environmental considerations in their prescriptive codes. This must change if we want to move toward a sustainable future! Are you interested in RV living? 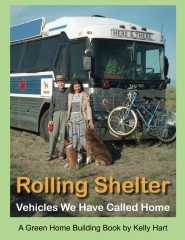 Rolling Shelter: Vehicles We Have Called Home is a personal account of Kelly and Rosana Hart's life in two different buses, three vans, two small motor homes, two travel trailers combined into one house, and two cars. Kelly tells stories about how they spent time exploring the western United States, Mexico and Guatemala, all the while living in various RV's. This book will inspire you and give you some ideas for how you might take advantage of vehicles to provide shelter in your life. The chapters include: "Our First Bus Home" showing the artistic conversion of a school bus parked on the rugged California coast; "Extra Wheels" describes a versatile step van and a Navy radar van used as a film studio; "Van Dwelling" features a Ford Econoline van equipped for travel into remote places and a VW Vanagon camper; "Juniper Ridge" shows how they made a unique home combining two long travel trailers into one home that could accommodate some of their llamas; "Tortuga & CanDo" were both small Dolphin motor homes built on Toyota trucks; "Here & There" was a full scale conversion of a 40 foot inter-city bus in which they traveled around the western United States. 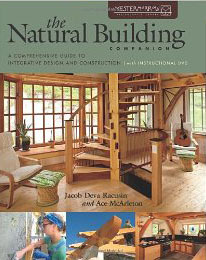 The Natural Building Companion: A Comprehensive Guide to Integrative Design and Construction, by Jacob Deva Racusin and Ace McArleton, published in 2012 by Chelsea Green Publishing is a book with a rare degree of detail on the topics covered. 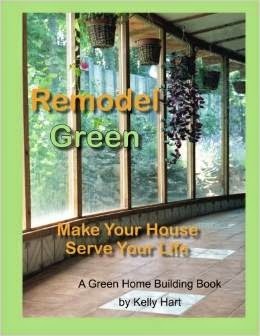 It is an extremely valuable resource for those interested in actually building with the materials that it covers, which are primarily wood, straw, earth and stone. The experience and focus of the authors is on appropriate techniques for the climate of the Northeastern United States. This book would make an excellent text book, and indeed the authors are associated with Yestermorrow, the design/build school in Vermont. It begins with a thorough investigation of the context for natural building, especially in the Northeast; ecological factors, proper siting for buildings, the geology of mineral building materials, as well as local plant and animal products, are all covered with great detail. The next section dives into the science and performance of building technologies, dealing first with structural issues related to straw bale and mass walls. Thermal performance strategies for natural building are investigated with a lot of corroborating data from actual testing the authors have done. A whole chapter is devoted to issues related to moisture and how it affects buildings. How to keep excess moisture out of buildings, the importance of breathable walls, how to provide good drainage around buildings, and the effectiveness of rain screen design is explored. Mitigating the risk of fire and insect damage is also discussed. How do you approach making proper design choices in the first place, taking into account the need for balancing cost, time and quality? Where are your priorities in this regard? They point out that non-standard construction often takes more time, and thus costs more, but the end product may be of higher quality. One of the best chapters in my opinion is devoted to foundations for buildings, with some of the clearest illustrations I’ve seen for exactly how various types of foundations are actually made. These cover frost wall foundations using AAC blocks, insulated concrete forms, rubble trench, frost-protected shallow foundations, pole and pier, and rammed tires. A chapter on various framing methods for natural buildings focuses on post and beam, timber framing, pole framing, stud wall framing, and even steel framing. Exploring natural insulative wall systems, such as straw bale, is really at the heart of this book. It goes into great detail on this subject, almost to the point of being a separate book within a book. Along with straw bale, both straw-clay and woodchip-clay are covered. The use of earth and stone to construct natural mass wall structures comprises another chapter. This includes the use of adobe, wattle and daub, stone, rammed earth, rammed tire, and earthbag. There is a side bar in this chapter that describes cordwood, and I feel that their treatment of this well established natural building technique is unfortunately unduly negative. There is an excellent section on natural plasters and paints and how to mix and apply them. This is one of the best presentations of a subject that is frequently skirted in books that I’ve seen. A range of appropriate roofs for natural buildings is covered, and so are flooring options. To finish the book, available choices for mechanical systems and utilities are explained. Altogether, I feel that this book is well worth its hefty price ($60), given that it not only provides such a wealth of detail and analysis, but it is also packaged with a comprehensive DVD of instructional material that dovetails with the content. I give the book high marks indeed.